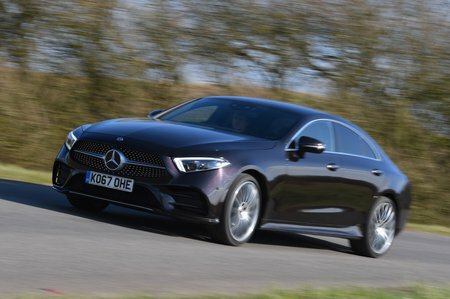 Mercedes CLS CLS 400d 4Matic AMG Line Premium + 4dr 9G-Tronic 2019 Review | What Car? What Car? will save you at least £4,926, but our approved dealers could save you even more. Comes with plenty of luxury gizmos, including adaptive LED headlights, leather seats, part-electric front seats with lumbar adjustment and heating, climate control, parking sensors front and rear, a rear-view camera and power-folding door mirrors. Infotainment wise, you get sat-nav, a DAB radio and Bluetooth, all operated via the 12.3in central screen, with another 12.3in screen adjacent to it in place of analogue instruments. Safety aids include automatic emergency braking and lane assist, with blindspot monitoring an option.